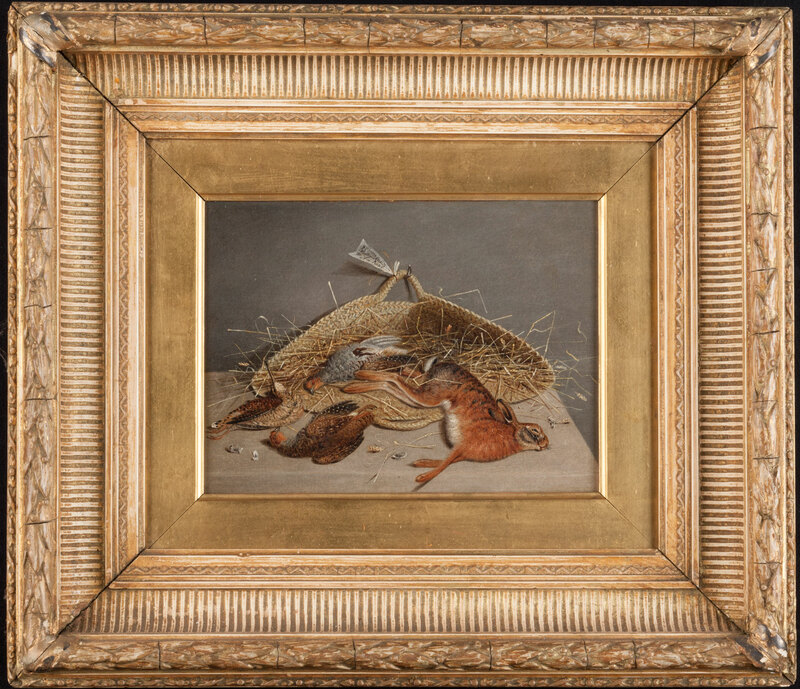 A pair of 'game larder' still-lifes painted oil on canvas and within their original gilt gesso frames. Signed on the delivery labels "G. Stevens. Northumberland Gt New Road". 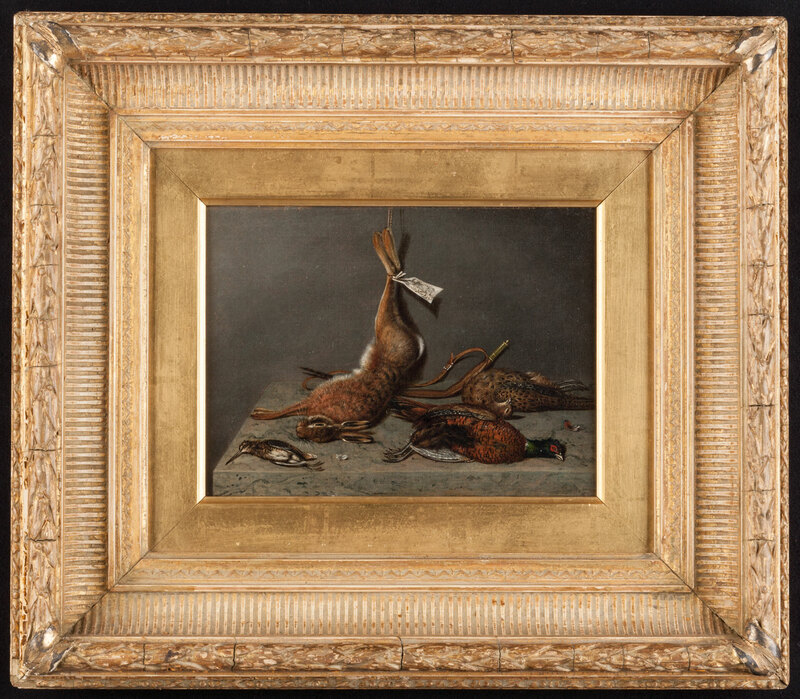 George Stevens (fl1810-1865) was a well known Londoner still-life and animalist painter of the first half of the 19th century. Between 1810 and 1865 he exhibited at the Society of British Artists, (246 works), The Royal Academy (22 still-lifes) and at the British Institution (75 works).